Don't lose this opportunity to improve your Portuguese!!! The starting of the A2.2 and B1.1 level classes was postponed, so hurry up and sign up for the classes! 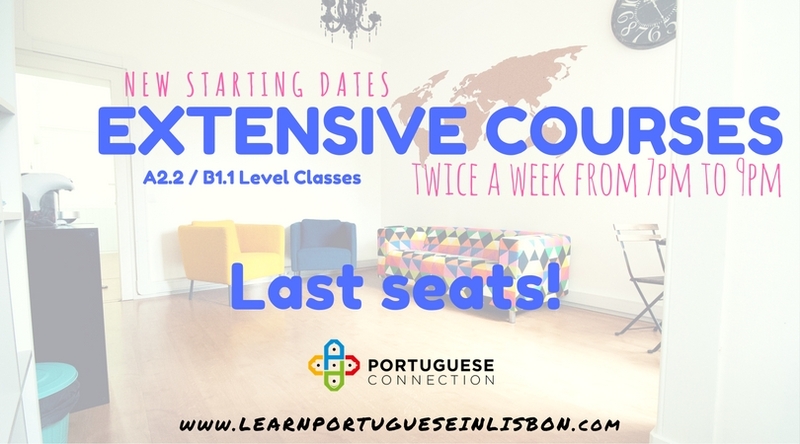 We will launch the new starting dates very soon at:https://www.learnportugueseinlisbon.com/portuguese-lessons/extensive-classes. I speak Portuguese, do you?